The router itself was only a mechanism to demonstrate the attack. During my research process, I thought it would be good to take a look at how Cisco's newer devices did in regards to securing their administration features. I chose the Linksys EA2700 Network Manager N600 Wi_Fi Wireless-N Router because it is a major brand device, and was recently released in March 2012, making it an easy choice for home users looking for an easy to use home Wi-Fi router. I hooked it up and spent maybe 30 minutes testing the security of the embedded website used to manage the device, then never used it again. What I found was so terrible, awful, and completely inexcusable! It only took 30 minutes to come to the conclusion that any network with an EA2700 router on it is an insecure network! On March 5, 2013, I emailed my research to Cisco. Today I am publishing 5 Linksys router vulnerabilities so that consumers may be aware of the risks. I demonstrate Cross-Site File Upload in my BlackHat and AppSec USA talks. If you need more info on the vector itself, check out How to upload arbitrary file contents cross-domain by Kotowicz. XSS on the apply.cgi page (used for nearly all state changing requests). Works authenticated or non-authenticated. Can be used to steal access to the device, change settings, or assist in uploading backdoored firmware. Get the routers /etc/passwd file or other config files easily, and without ever logging in! This vulnerability tells me that this routers software was never given a security pen-test because it is just TOO easy! On a Linksys EA2700 router, anybody on the same network can change the routers password and enable remote management. This would allow them to access your network from the Internet. It's also possible for a remote attacker on the Internet to design a malicious website that would exploit the same vulnerabilities without actually being on your home network. Now thats what I call a CSRF attack! Feel like hacking the EA2700, but only have a keyboard with one character on it? If that character is a "/" then you are in luck. Add a "/" to any URL while browsing through the administrative panel, and you will be presented the raw source code of the page. No, I'm not talking the HTML source code, but the actual web application level source code that is used to convert the page to HTML. I wonder how many more vulns you can find by going through the source code of this appliance. Generic Cross-Site Scripting (XSS) flaws only affect the original website that has the XSS vulnerability. For example, XSS in facebook.com grants an attacker access to the victim's Facebook session, but browser security prevents the flaw from affecting other websites. 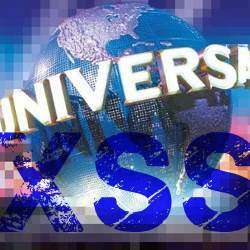 Universal XSS (UXSS) is when it is the browser behavior that is exploited, and the standard controls that prevent other websites from being affected are ignored. UXSS is essentially creating an XSS flaw where there is none. It turns out that XSS on website hosted at the root level can lead to very bad things much worse than I originally thought: Universal XSS; a single XSS vulnerability that can perform cross-site communication to any other domain. I'm going to explain the circumstances of this vulnerability and how it can be exploited. I want to thank Pujun Li (@jackmasa) for bringing this to my attention and the Microsoft Security Response Center for quickly getting back to us on this issue. Internet Explorer maps out websites you visit into specific security zones: Internet, Local Intranet, Trusted Sites, and Restricted Sites. If the URI’s hostname doesn’t contain any periods (e.g. http://team/) then it is mapped to the Local Intranet Zone. A site hosted at the TLD doesn’t have any periods in the hostname, and so the Internet hosted site gets incorrectly classified as an Intranet hosted site. Eric concludes the post saying “none of [the TLD] sites can be loaded from most corporate networks.” I don’t know about most corporate networks, but I feel it’s important to go over the various requirements that need to be met before the UXSS vulnerability can be exploited. When the Intranet Zone is enabled in IE, we are left with a website that is on the Internet, but loaded in the less-secure Local Intranet Zone. A user in a managed enterprise network is likely to have the Intranet Zone enabled by default. For home users, the Intranet Zone has been disabled since the release of IE7, but that means that it is enabled for Internet Explorer version 6. Combined, that's actually a pretty huge attack surface. While the Intranet Zone is disabled by default for home users, once it is enabled it stays that way for all future requests. So how do you enable the Intranet Zone? Intranet settings use a less secure level than the Internet. If you only go to Internet websites, you should not turn on intranet settings. Are you sure you want to turn on intranet-level security settings? Click YES and the Intranet Zone is permanently enabled and the page is reloaded. Once again, this only needs to be done if the user has never enabled Intranet Settings in the past and is not on a managed network, but for everyone else it’s still a lot of steps to be tricked into following. Fortunately for the bad guys, these roadblocks can be overcome with a little social engineering and good timing. The victim only needs to tab over and select the "Turn on Intranet Settings" button, activate it, and then provide a Yes response to the confirmation dialog. So, the attacker creates a scenario where it would make sense to type a few keystrokes, then the specific key combination [TAB] [TAB] [ENTER] [Y]. This page is accessing information that is not under its control. This poses a security risk. Do you want to continue? So, if you own a TLD and host a website at the root level, you can do some pretty mean things. But what if you don’t have the $185,000 needed to register your own TLD from ICANN? I suppose you’ll just have to rely on vulnerabile code in-use by somebody who has already paid the fees and set up a website. Perhaps you will find one running a CGI script with XSS Vulnerabilities. Cool, but what about IE's XSS filter, won't that stop the attack? After all, it is pretty good at detecting and preventing XSS, right? Unfortunately, the filter is completely disabled in the Intranet Zone, raising the threat and ease of exploiting XSS on TLD hosts. I took this vulnerability to Microsoft to see what they thought of it. My understanding is that because of the numerous confirmation prompts and variables, they didn't see it as a very high threat. In theory I agree, and it's hard to see this as a typical drive-by exploit. However, I would like to point out one more thing that could make exploitation easier: The warning messages do not give any indication about which website IE is attempting to load in the Intranet Zone or access cross-domain content. It isn't obvious whether you are under attack, or if you simply visited a website that's attempting to take full advantage of the abundance of features that IE provides. Loading the TLD site in a hidden iframe means that the user does not receive any visual cues about which website is attacking them, or what information is being hacked. I bet you would like to see a POC now, wouldn't you? An attack of this nature isn’t just theoretical; it’s entirely possible. I discovered that one of the companies hosting websites on its root domain uses a CGI script that is vulnerable to XSS. Without considering the flood of new companies that will soon have their own TLD, there are at least four websites (tm, sh, io, and ac) that can be used right now by attackers as a jumping off point for this vulnerability and used steal sensitive data and bank account information, or hack into social networks and email accounts. Update 1: To get a better idea of what the attack could look like, check out a video demonstration.